Who should join The Deadman at the blue brand's celebratory event? 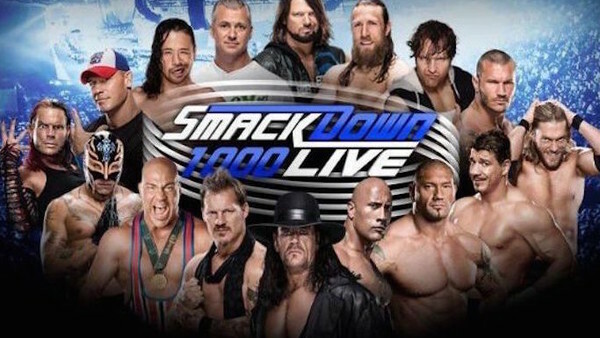 It's hard to believe that there have almost been 1000 episodes of SmackDown. WWE's blue brand aired its pilot episode back in April 1999 before becoming a regular fixture of network television that August. Flash forward 19 years and it's now the (deep breath to fit in all the company rhetoric) "second-longest-running weekly episodic television show in history" — second only to WWE's flagship show, Monday Night Raw. Initially a companion to Raw, SmackDown became its own entity in 2002 following the brand split. Complete with its own unique roster, it was renowned for being the "land of opportunity", and helped launch the careers of many wrestlers, including John Cena and Mr. Kennedy. Over the years, it has provided us with countless memorable moments and some historic main events, proving that it should be taken every bit as seriously as Raw. 1000 episodes is a big deal, and you can rest assured that when WWE marks the occasion with a special broadcast, it will be an unforgettable event. 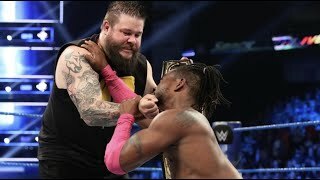 We already know that it will feature three huge matches and, with the recent news that perhaps the show's greatest superstar, The Undertaker, is set to return, let's take a look at 10 other WWE superstars who should make their presence felt on the 1000th episode.